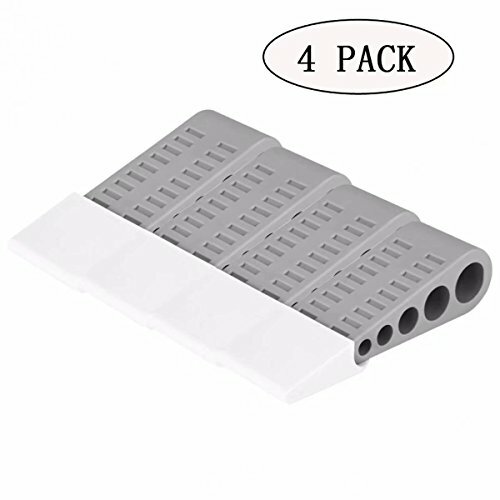 Popowbe 4 pcs Rubber Door Holder Doorstop Door Stops Slip-Resistant Non-Toxic Doorstops House Office Bedroom Decorative Hardware by Popowbe at Home Decor Outlet Store. MPN: Popowbe. Hurry! Limited time offer. Offer valid only while supplies last. Easy to use: It is very easy to use this door stop, insert the wedge door stop tightly into the gap between door bottom and floor, and pull back against the door stopper. If you have any questions about this product by Popowbe, contact us by completing and submitting the form below. If you are looking for a specif part number, please include it with your message.